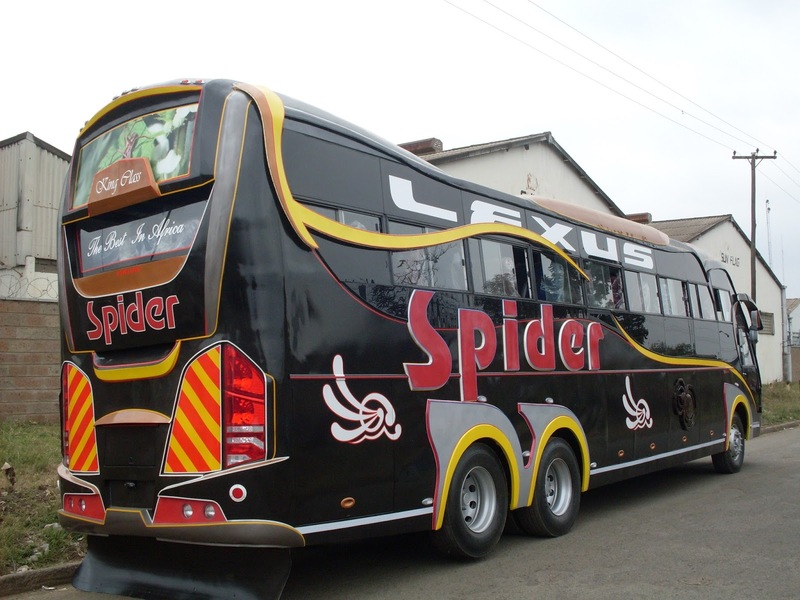 Spider Coach Ltd Is an international bus company which operates and serves customer across East Africa region. 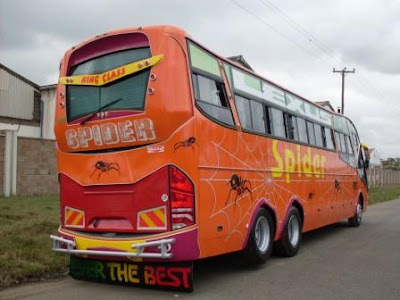 It is one among the oldest bus companies which still operate in East Africa, Spider Coach was a great challenger of Dead companies like Akamba Bus and Kampala Coach. 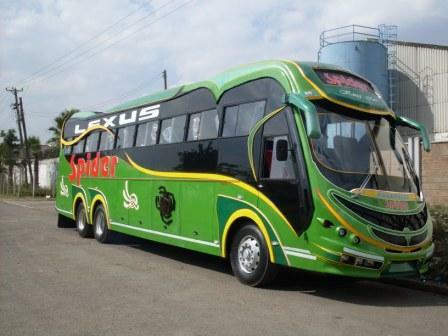 Spider Coach now is in a great competitions with other company like Tahmeed, Dar Express, Dar Lux, Saibaba and Modern Coast in the Dar es salaam to Nairobi route. 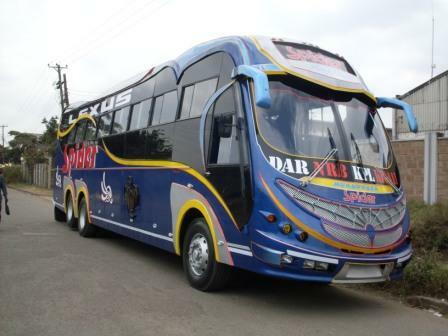 Apart from Nairobi route, Spider Bus still dominate other major international routes. 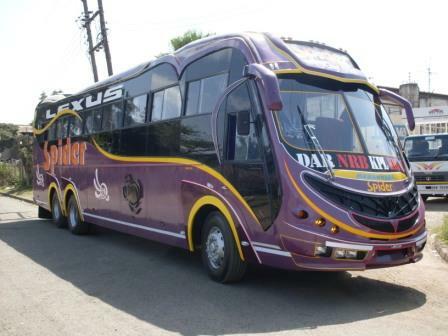 Spider Coach uses Nissan Ud buses model with 2x2 seating arrangement, Their seat are very comfortable with a desired legroom, enough gaps with neighbor seat and they are soft. Spider coach buses has an on board entertainment, First Aid, Soft Drinks and many more. 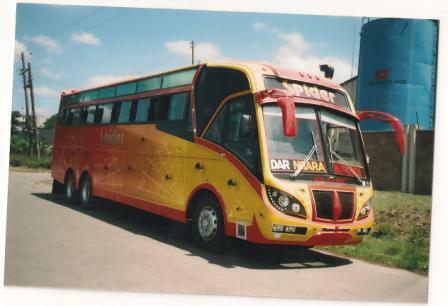 Direct route from Kampala to All above Cities.